With the advent of our honorable Prime Minister Mr. Narendra Modi, there have been many changes in the country, not just for us common folks but for those working in the different government organizations too. Apparently, our prime minister is quite adamant on ensuing discipline of government employees. And this, he started by having all government organizations implement an AEBAS device to accrue accurate and authentic attendance data of employees through Aadhaar authentication. Although still in process, this rule has definitely given positive results so far. However, with implementing a new process comes meeting the many challenges that organizations face. Moreover, with each sector, challenges are different and dealing with them may become a tad bit difficult for the government. But first, let us take a look at the various challenges that different government sectors face when it comes to implementing a biometric attendance system for accurate attendance data collection. Ways to meet these challenges is a talk for another time. As mentioned earlier, every sector will have challenges that are specific to their own working. Let us discuss challenges faced by different sectors with respect to collecting and recording accurate employee attendance data. As is the motto of our prime minister, today’s youth is the tomorrow of our country. Education plays an important role in shaping the young ones of today. Hence, ensuring that students attend school on a regular basis is very important. As is mandatory for everyone, even students have their own Aadhaar number allotted to them. Government schools are likely to have students coming in large numbers, more so for they have a comparatively affordable fee structure. 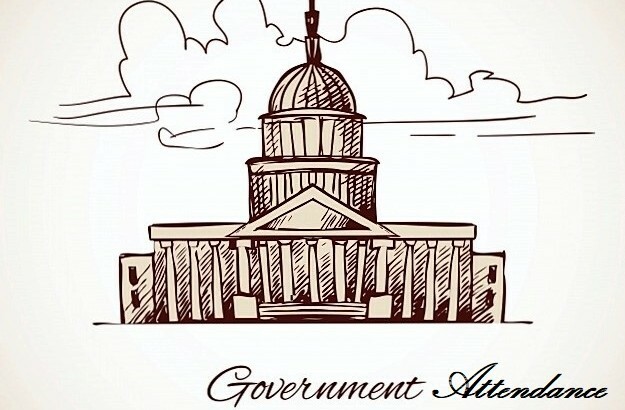 However, just like with any other government organization, rules are more or less taken lightly, attendance being one of them. Even today, most government schools have the traditional pen and paper method of recording attendance details of students in place. This gives rise to other problems such as buddy punching. Even in colleges and universities where they may have attendance devices or biometric Time-Attendance is in place, buddy punching or erroneous attendance due to software malfunction is highly possible. As goes with any government organization, healthcare is just another of them where employees are often little to not at all sincere and dedicated towards their duties and responsibilities. Patients in government hospitals are often left unattended or attended after a considerable delay in time, which may make it perilous for the respective patient. Hence, addressing the patients on a timely basis is becoming a major issue in government hospitals. Even the workers along with medical staff take their presence in hospitals and clinics for granted, indulging in malpractices of taking undue leaves and ditch going to work. As a result, regular work hours are hardly fulfilled by the staff, making it a difficult situation for not just the patients but at times for their relatives as well. Most of the government hospitals have in-built laboratories to aid quick acquisition of blood and test reports. However, absence of workers and respective technicians may cause delay in generation of the test results. Government transportation mainly includes airports, railway and bus transportation. Transportation is probably one of the major industries for the government, mainly because people will always travel. Be it within city limits, within state limits or across countries, travelling will always require transportation services. At such government facilities, presence of the respective officials is of utmost importance, not just to aid smooth running of the transport services provided but more. The presence of responsible staff and officials can help the public deal with their problems. Moreover, in case of emergencies, such as a terrorist attack or any other, presence of the staff can make a lot of difference. They can help in evacuation and safeguarding the public against harm in general. Hence, implementation of a Time-Attendance system may definitely aid in ensuring that the staff is present at these transport facilities at all times. These are just the three main government industries we have talked about here. Even with these industries, managing attendance data and ensuring daily attendance of employees, as we can see, is a major challenge. There are many other government sectors that face similar challenges. The introduction of Aadhaar biometric attendance is an advantageous step towards the impending challenge of employee attendance. In the next blog, we will look at how such a system will actually help overcome this challenge. Access Control, Matrix COSEC, Time-Attendance Aadhaar biometric attendance, AEBAS device, biometric attendance system, biometric Time-Attendance. permalink.